Hugo Michell Gallery invites you to the opening of Fiona McMonagle’s A dog named Chop, and Tim Sterling’s Blinding by the light, on Wednesday, June 28 from 6pm! 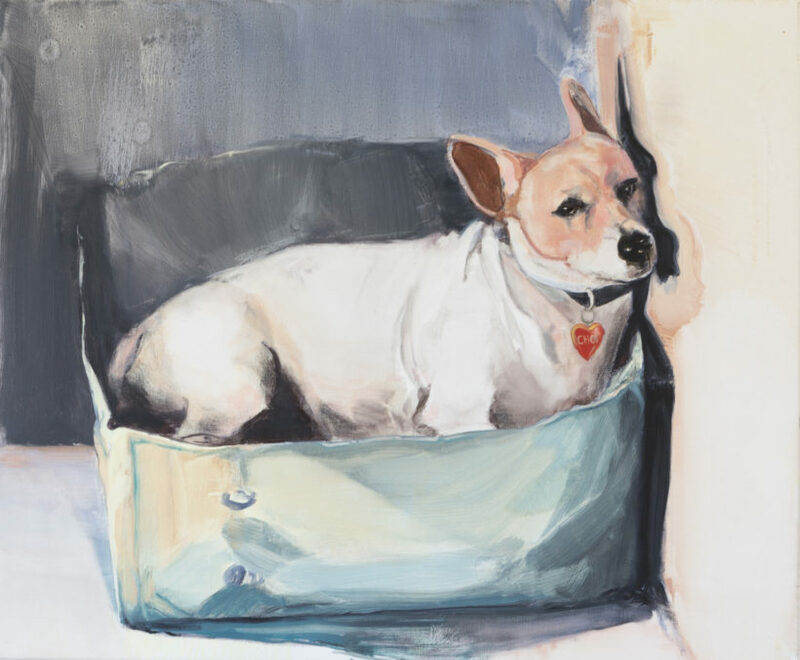 Fiona McMonagle’s latest body of work, A dog named Chop, sees the artist present an entirely new body of work in her signature style. Echoing snapshots from a past era, the work appears uncannily familiar, yet loaded with personal relevance. Based in Melbourne, McMonagle recently exhibited in the 2016 Adelaide Biennial of Australian Art: Magic Object at the Art Gallery of South Australia. McMonagle also has works in numerous public collections, including the National Gallery of Victoria, Art Gallery of New South Wales, Artbank, and various regional galleries. The denial of contingency is not simply an issue of aesthetics and visual order, but a much wider one of social control and cultural cleansing. Tim Sterling presents three large-scale investigations that dissect visual codes through the use of gridding, layer, and camouflage. 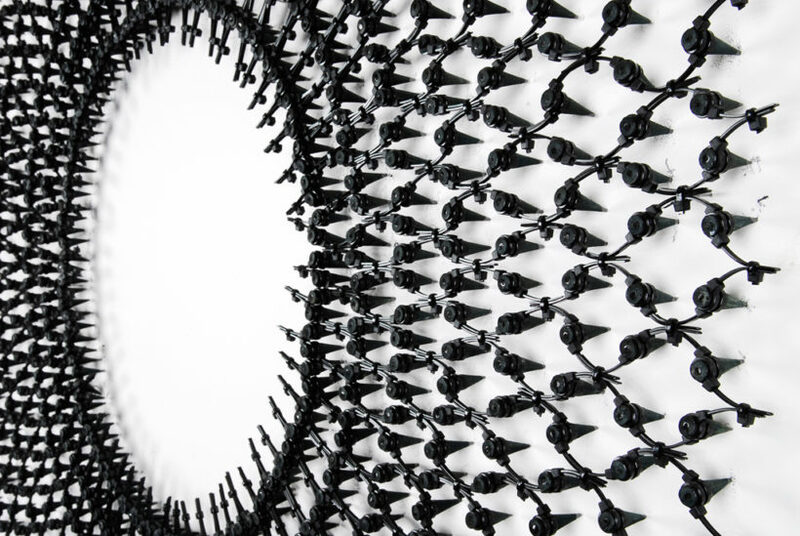 Sterling’s work invites audiences to examine intrinsic patterns within mass representation. Tim Sterling received The Anne & Gordon Samstag International Visual Arts Scholarship, attending the Sandberg Instituut in Amsterdam, Netherlands. Sterling has exhibited widely including significant institutions such as the Museum of Contemporary Art, Contemporary Art Centre of South Australia, Australian Experimental Art Foundation, and the Perth Institute of Contemporary Art. Please join us in celebrating the launch of these two exhibitions on Wednesday, June 28! Image: Fiona McMonagle, Chop, 2017, from A dog named Chop, oil on linen, 60.2 x 50.5 cm. Image: Tim Sterling, Tree (detail), 2016, from Blinding by the light, cable ties and pencils, 97 x 97 x 6 cm.